Any ideas where I might be able to locate the graphic shown below? I actually went to my local Ford dealer and the part's guy checked a V.I.N. 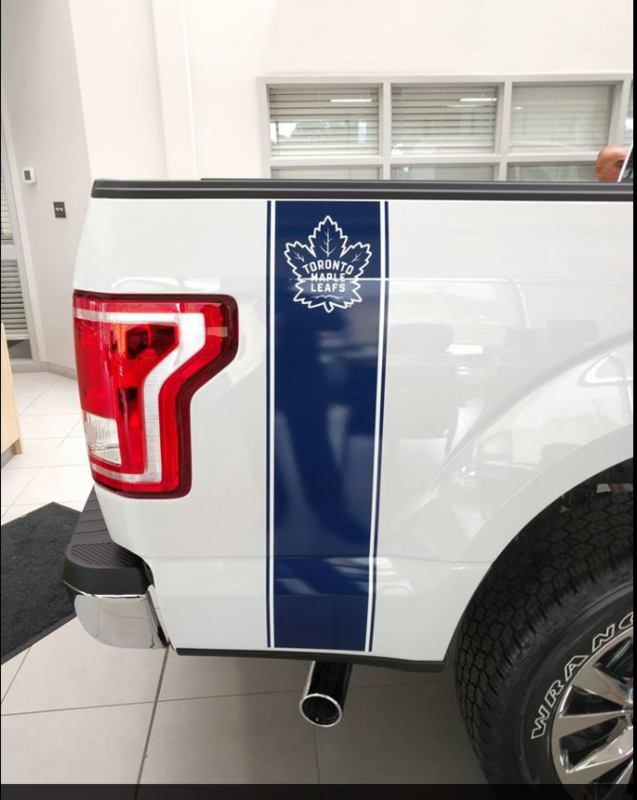 # of a 2017 Maple Leaf centennial edition truck they had on the lot. He figured if they sold that edition of the vehicle they would also need to have the decals available as replacement parts but no luck finding the #. There were a limited number of these 2017s available in the Toronto area (I believe 400 trucks were sold). I just had the rear box replaced on my 2016 Platinum (after a minor fender bender) and asked the body shop to leave the 4x4 graphic off the rear quarter panels. Go on Etsy. Only 2 left so can do both sides if you hurry for only Cdn $20. Not sure why they only made those in XLT. I remember seeing #2 of #400 at McAlpine when they first came out. Took a picture of it but can't find it. Not sure why Summit still has it. 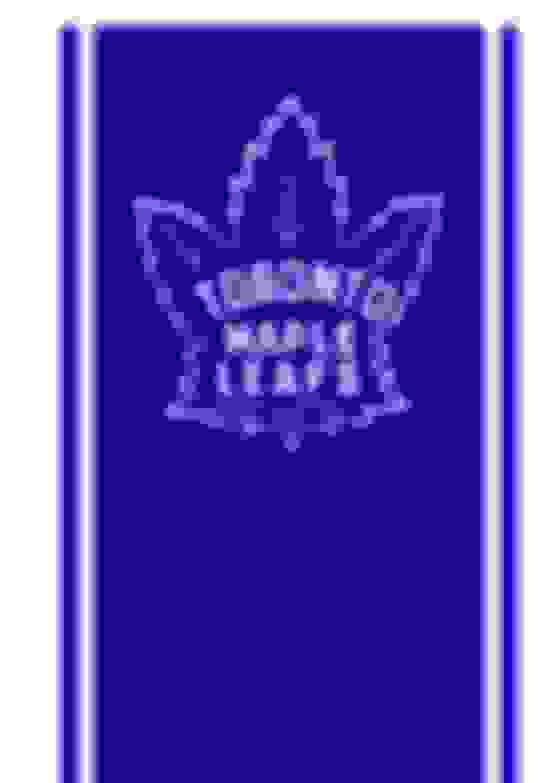 Must be waiting to cash in when Leafs win the cup! Very much appreciate the link and checking out the store. Lot's of neat items on there for sure. 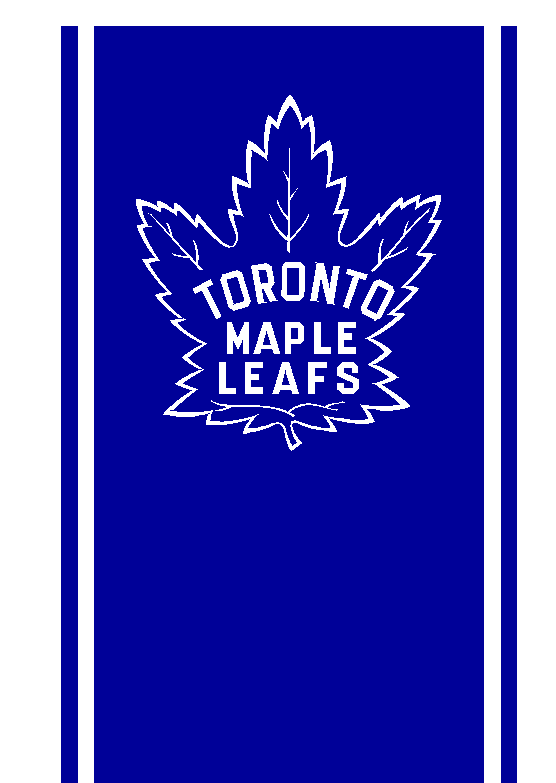 I was specifically looking for the same decal style shown in the picture though (i.e the Leaf logo but also the blue stripe that extends down the length of the rear quarter panel). One of my neighbours has the special edition truck and I think the rear decal looks pretty good on there. They did a nice job on that truck but as you mentioned, too bad it was only available in the XLT trim. Thanks again for getting back!! Here is the graphic file. If you know someone with a vinyl cutter, you can have them make it. Well done!! I do know someone with a vinyl cutter so that is an interesting option I hadn't considered. Definitely will check with him to see if this is something he could put together. Here is an EPS file your friend with the cutter should be able to open. Thankyou!! Very nice gesture there and much appreciated . If he can put it together for me I will definitely update everyone and send along a pic.